We've been off adventuring in Scarborough, but of course we still have been keeping our eyes open for Foodstuff Finds. 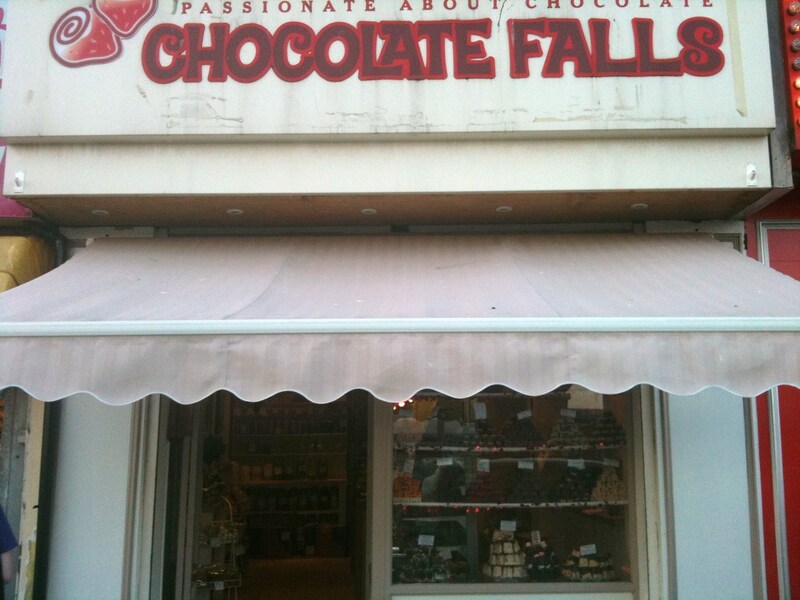 Sure enough on the sea front in Scarborough sits a confectioner with an amazing array of goodies within. 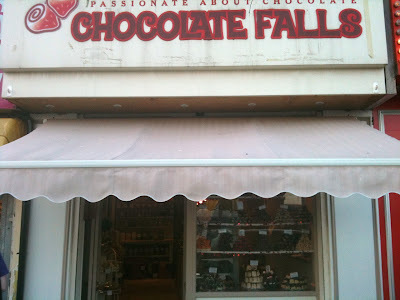 Chocolate Falls predominantly sells fudge, and it is creative homemade fudge too using different chocolate bars and interesting goodies. There is every flavour you can think of, from Toffee Crisp to Orange Aero. 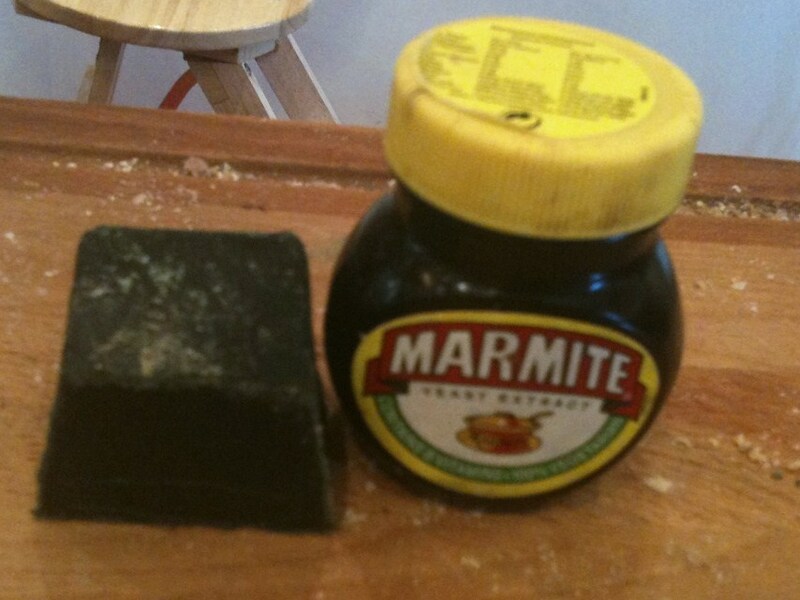 There are also a few flavours you might not have thought off too... like this Marmite Fudge. I’ve tried the official Marmite chocolate which even as a Marmite lover I found it bizarre and garlicky, and so I was a little bit wary of this fudge but knew I had to give it a try. The fudge is an ominous black colour and sat of the shelf next to a jar of Marmite just so there is no mistaking its main ingredient. I don't know, that sounds like a recipe for ruining fudge to me. marmite fudge! I really cant imagine this? !